In anticipation of Halloween, I thought it would be fun to find as many plants as possible with names that you would associate with Halloween. As I started doing my research, I found that many others had had the same idea so, rather than repeat or plagiarize information that has already been posted on the web, I thought maybe a link to some of the more interesting articles would be better. I think maybe I’ll just stick with Chinese Lanterns — a beautiful and harmless addition to any Halloween or Autumn gathering! 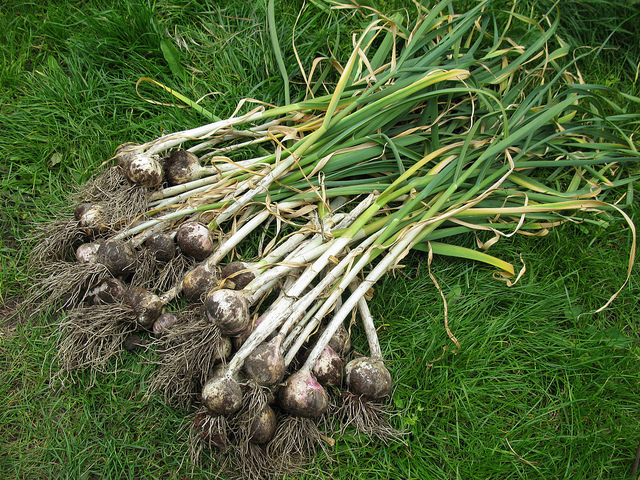 It’s very easy to grow garlic (Allium sativum), and now is the time to get it in the ground. 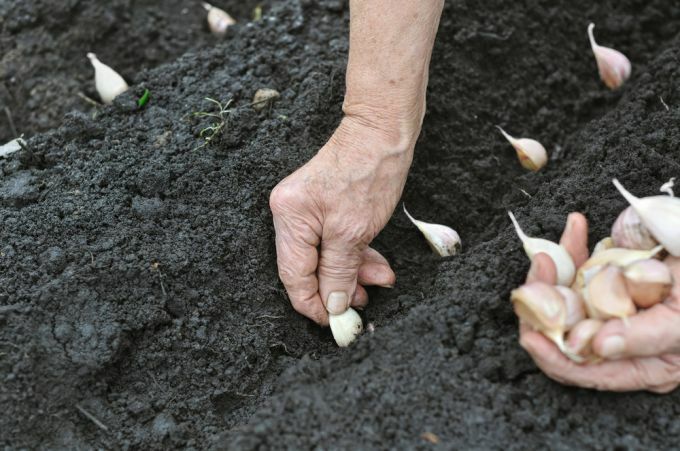 Like a tulip, garlic is a bulb that needs the cold of winter and, like tulips, garlic can be planted almost anytime in the autumn as long as the ground is workable. The bulbs come in clustered segments that need to be separated before planting and, like all bulbs, must be planted pointed side up. 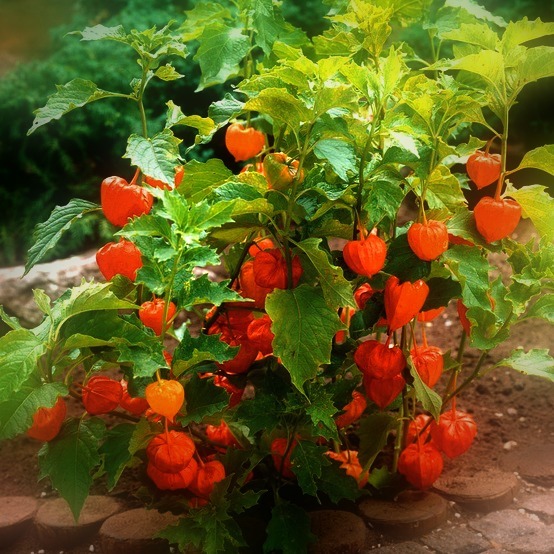 Plant about an inch below the ground in well-drained soil. Full sun is best, but garlic can manage as long as it gets six hours of sun a day. The hardest part of growing garlic is finding a good garlic farmer or bulb supplier. The garlic bulbs found in supermarkets have been treated to keep them from sprouting so you need something organic. It’s preferable to source your bulbs locally because it will have adapted to your area. For Zones 6 and higher, softneck varieties work fine, but choose a longneck variety if you’re planting in zones 5 or lower. To maintain warm soil temperatures, mulch with an 8-inch layer of shredded leaves or straw. Remove the mulch in early spring to allow the sun’s warmth to penetrate. The plants are ready to be lifted from the ground when the leaves turn yellow — usually July or August. Dry the plant thoroughly in an airy, covered spot; remove leaves and store garlic bulbs in a cool frost-free place. 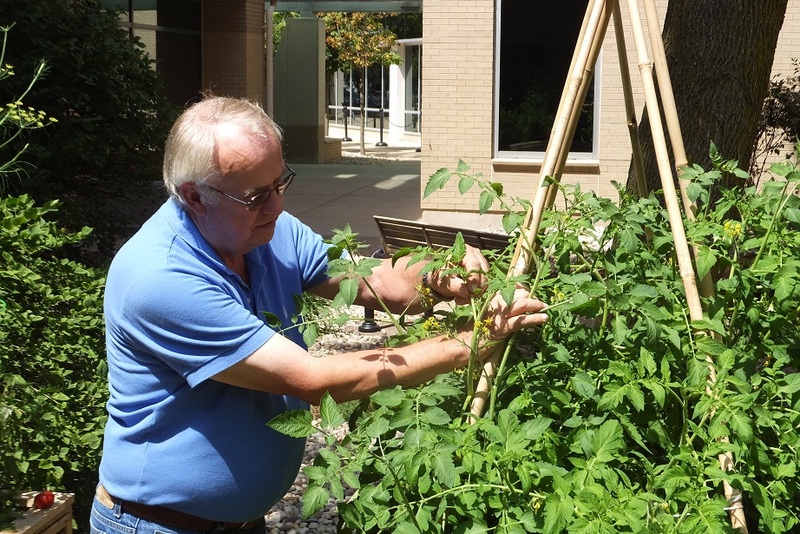 The Outagamie County Master Gardener Association is proud and lucky to be affiliated with the University of Wisconsin Extension and the educational resources of The Learning Store. From one of the publications at The Learning Store (“Growing Apples in Wisconsin”) comes information on storing your precious fruit after harvest. “Fall- or winter-ripening applies, which ripen in September and October, will store well for 1-5 months. 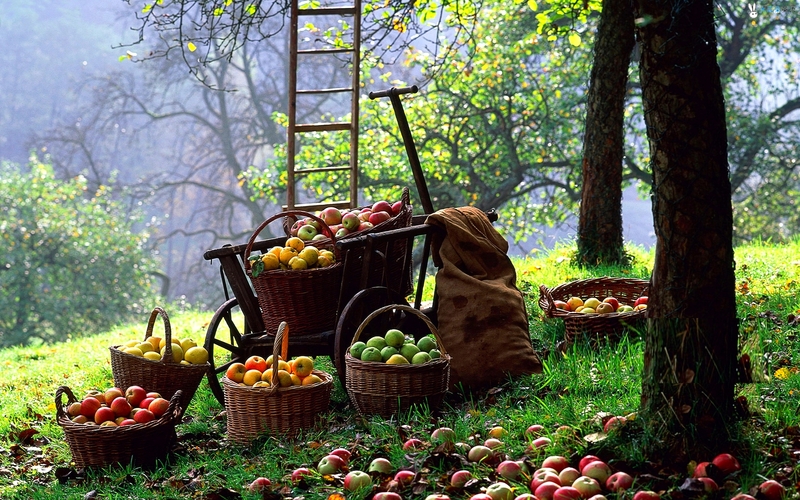 If you plan to store the apples, harvest them before the peak of maturity while they are still firm. 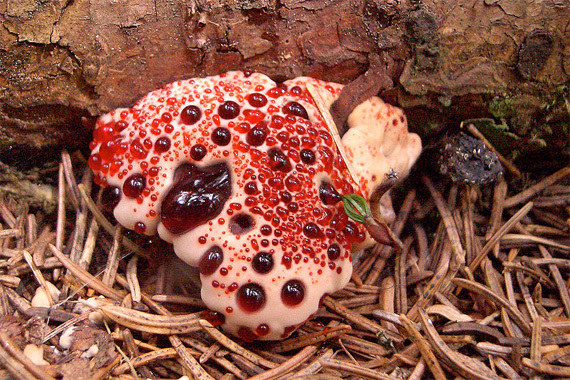 Discard or use any blemished, diseased, or damaged fruit. Store only the best fruit. Overripe or bruised apples will not only store poorly, but the ethylene gas they produce will shorten the life of sound fruit. The 24-page booklet covers information about growing apples such as site selection, planting, weed management, pruning, insect pests, and diseases, as well as much more information. The publication can be purchased as a pamphlet for $4.00 from The Learning Store, or you can simply download the entire publication as a .pdf file to your computer by clicking here. Take advantage of university-based research and education by utilizing the many publications available through The Learning Store by following this link: http://learningstore.uwex.edu/. Cut down on that raking! 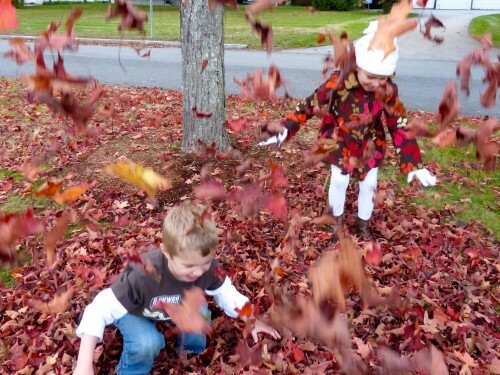 When they’re completely dry, rake them into a big pile and have your kids or grandkids run and jump into the pile. Remember how much you enjoyed that when you were a kid?! I grew up in the country and we could also burn leaves; I still miss that smell of burning leaves and branches. Using your lawn mower, mulch the leaves onto your lawn thereby providing a wonderful source of nutrients as the leaves decompose over the winter and spring. Better than buying expensive fertilizer each year! Gather and mulch the leaves to use in your compost bin or compost pile. You can use whole leaves, but shredded leaves will break down more quickly to provide that ‘black gold’ compost to use in the spring. Note: continue to add your vegetable scraps and egg shells to your compost heap through the winter. You may not be able to turn the pile as often in the winter, but the nutrients will be there as the snow melts into the pile. Never add meat by-products, fats, animal waste, or leaves or stalks from diseased plants. Remove the leaves from the lawn and put them around your shrubs and perennials in the garden. They’ll help conserve moisture around the plants, and also stabilize the soil temperature to reduce the fluctuations of freeze and thaw that tear plant roots and heave them from the ground. A 2- or 3-inch mulch of autumn leaves will at least partially decay over the winter, releasing vital nutrients and improving soil structure, but be sure to rake away any leftovers in the very early spring before the perennials and bulbs start peeking up. Large piles of whole leaves will provide great insulation, but they can also turn into soggy mats that smother emerging plants. Finally, if you must, rake the leaves into the street for the municipal removal teams. Note: the city knows what to do with all of that garden and lawn waste they pick up around the city: they turn it into compost and mulch! We’ve had a lovely long warm spell and I know many of you have delayed bringing your houseplants back inside. Here are a few tips for making the transition easier. Most need to be back indoors before the night temperature drops to 50ºF, and though some hardy ones could stay out until it regularly approaches 40º, most of them will do better if they can start readjusting before the difference between indoors and outdoors becomes too great. Before bringing in the plants, get the house ready by washing your windows (Ugh! I know, but clean windows let in a lot more light). If possible, while the plants are still outside, move them into shade ahead of time to prepare them for the drop in light in the house. 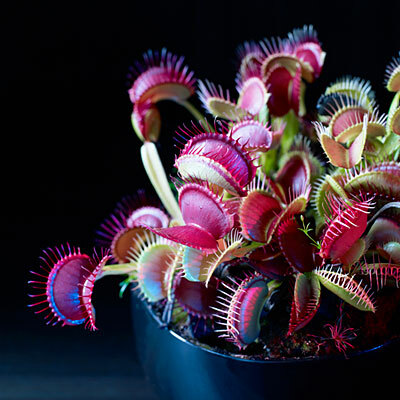 As you bring the plants indoors, soak the pots up to their rims in a sink full of water to force insects to the surface, which you can then dispose of properly rather than finding them crawling on your floor later. It’s best to leave repotting until just before the new growing season begins in early spring. 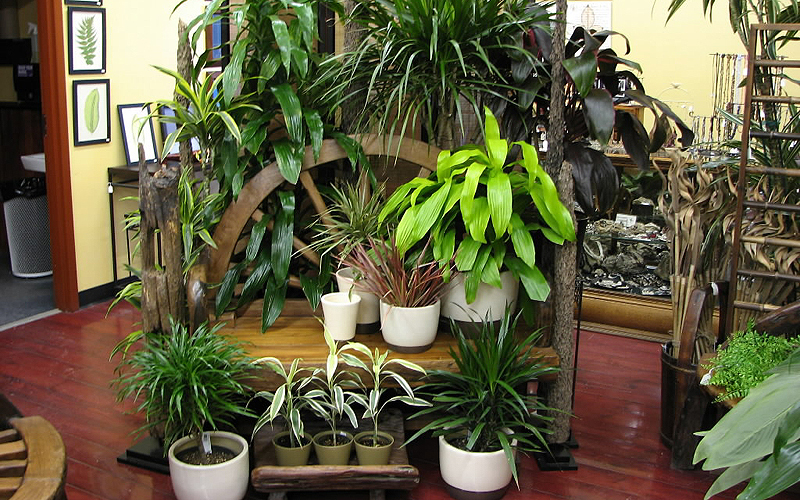 Moving to larger pots means more growing medium, which holds more water. With lower light levels, and shorter days, overwatering is more dangerous than being a little potbound for the winter. And quit fertilizing! They worked hard at growing all summer, so give them a rest until they start actively growing again in late winter/early spring. 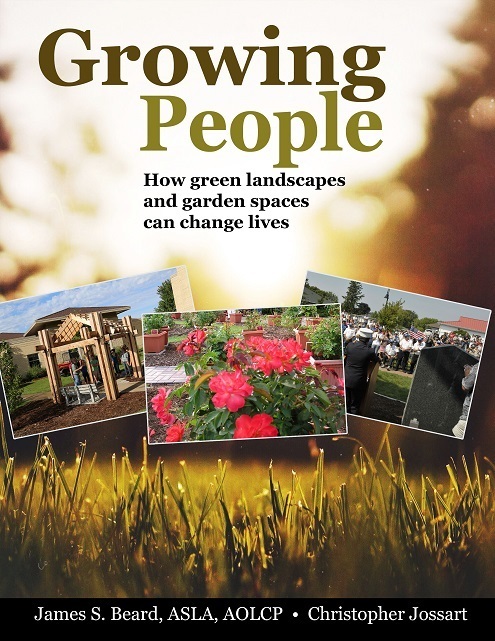 If you’re looking for a gift for that gardener in your life, you need look no further than this unique and inspiring book that provides stories and do-it-yourself advice from one of our closest friends. What a great season for fresh vegetables in stews and soups on these chilly evenings! You can also save energy by using your slow cooker rather than heating up the stove or oven. From Wisconsin Electric comes this recipe for energy saving Chicken & Pumpkin Stew made in your slow cooker. Set slow cooker to high. Add olive oil. Cook and stir onion until lightly brown, then add chicken and pumpkin. Cook and stir until browned. 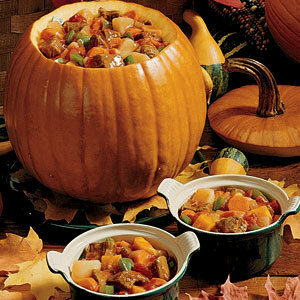 Cook stew on high setting for 1 hour; reduce cooker setting to low and cook until pumpkin is tender, 4 to 5 more hours. Season with salt and black pepper.